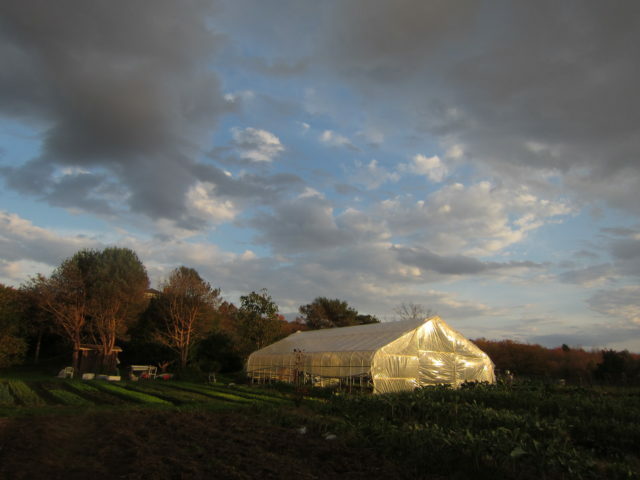 Friends and supporters of local farming gathered earlier this month in Hinsdale, New Hampshire to celebrate the permanent protection of Wingate Farm. Wingate Farm’s new owners are Olivia Pettengill and her brother James. In their second season growing, Olivia and her business partner, Susan Parke-Sutherland, raised 700 pastured laying hens, hundreds of broiler chickens, eight forest-raised pigs, and a variety of vegetables and flowers. Until recently the 60-acre farm was jointly owned by sisters Carroll Pettengill and Alma Niemiller. 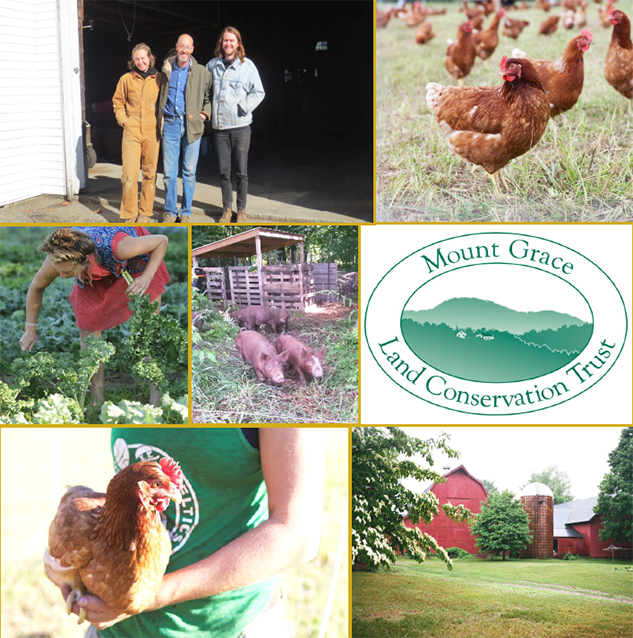 In addition to transferring the land to the younger generation, the family conveyed an agricultural conservation easement to Mount Grace Land Conservation Trust. Language in the easement prevents the land from ever being split apart from the house and barns—protecting the whole farm. An option to purchase at agricultural value (OPAV) has also been placed on the land. These options are increasingly used to guarantee that protected farms stay in agricultural production and in the hands of working farmers. The option allows Mount Grace to ensure that a sale of the farm would be to a farmer at agricultural value. This is the first time an OPAV has been used to protect farmland in New Hampshire. Without this tool, farmers will continue—as is happening across the country—to get outbid by non-farmers, taking irreplaceable land out of farm production. Wingate Farm has been protected with support from the USDA Agricultural Conservation Easement Program, the New Hampshire Land and Community Heritage Investment Program (LCHIP), The Russell Farm and Forest Conservation Foundation, the Tortuga Foundation, the Bromley Charitable Trust, the 1772 Foundation, and the Conservation Commissions in Hinsdale and Winchester, New Hampshire. This is Mount Grace’s first conservation project in New Hampshire. 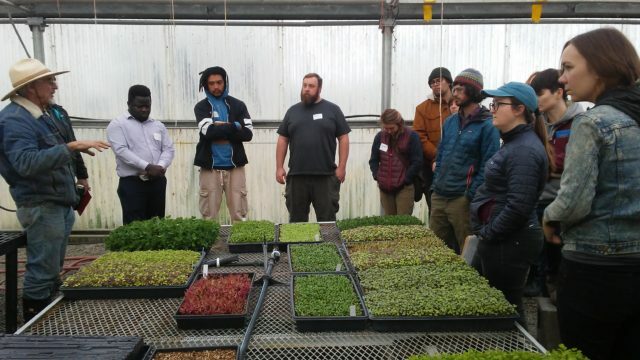 The trust has protected more than thirty farms and has been at the forefront of new strategies to help support local farms.